or more than three football fields. A baseball dropped from the top of the Arch would take 7.5 seconds to reach the ground, or 90 miles per hour. But this is no trivial matter: you’ll have lots of fun and can buy an autographed copy of the book, at the party from 2-5 p.m. this Saturday at the Tavern of Fine Arts, 313 Belt Ave. in the Central West End. With eight days to go before the release/signing party for my new book, I was running around like crazy dropping off copies to TV, radio and newspaper types. I started in St. Louis Hills, hightailed it downtown, then sprinted to Webster and South County and came back downtown to hand out more copies. I’m beat. You’ll have any easier job to get your hands on The Making of an Icon: The Dreamers, the Schemers, and the Hard Hats Who Built the Gateway Arch. Just come to my release party from 2-5 p.m. Saturday, April 5 at the Tavern of Fine Arts, 313 Belt Avenue in the Central West End. 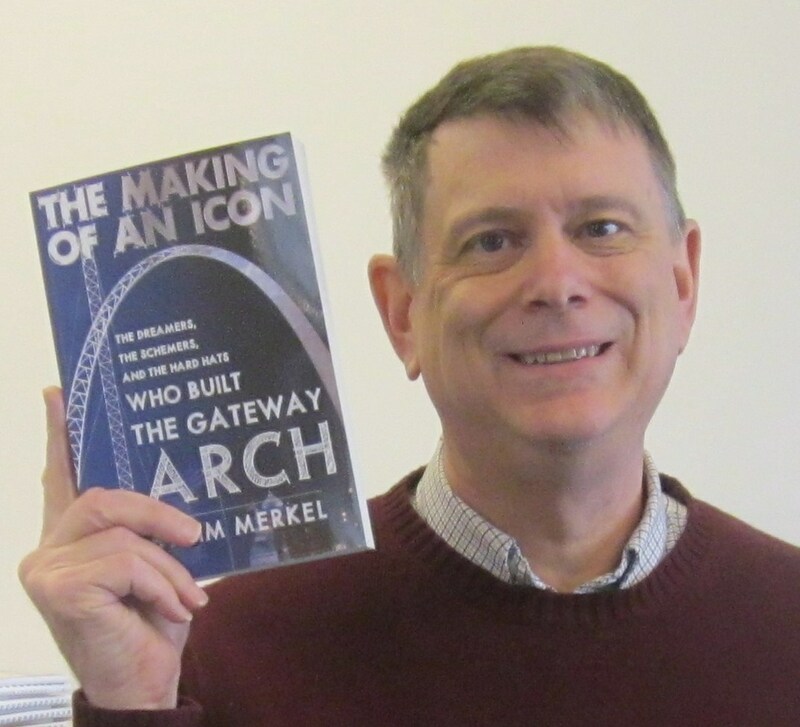 Yes, nine days before the release party for The Making of an Icon: The Dreamers, the Schemers, and the Hard Hats Who Built the Gateway Arch, the books arrived. You know how cars have that new-car smell? This has a new-book smell. You can get one, personally autographed and smelling all new, at the release party, from 2-5 p.m. Saturday, April 5 at the Tavern of Fine Arts, 313 Belt Ave., in the Central West End. The Making of an Icon: The Dreamers, the Schemers, and the Hard Hats Who Built the Gateway Arch arrived today from the printer. I pick up my copies at 2 p.m. today. 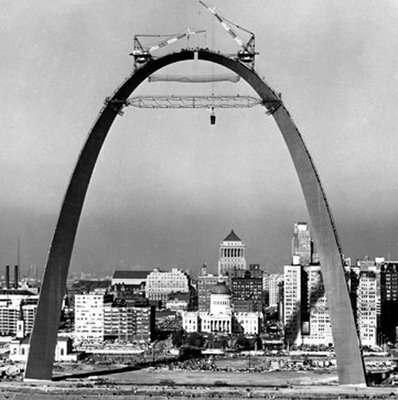 Pictures later.
. . . Until the Release/Signing Party for The Making of an Icon: The Dreamers, the Schemers, and the Hard Hats Who Built the Gateway Arch from 2-5 p.m. Saturday, April 5 at the Tavern of Fine Arts, 313 Belt Ave. in the Central West End. Clear your calendar. It’ll be here before you know it. The printer will ship copies of my book on the Gateway Arch on March 26, a mere week away. Reedy Press should get them March 27 or 28. So here’s a way to get a first-out-of-the-box limited autographed edition of “The Making of an Icon: The Dreamers, the Schemers, and the Hard Hats who built the Gateway Arch.” Mail a check for $24 (including taxes and postage) made out to Jim Merkel (me) to Jim Merkel, 4216 Osceola St., St. Louis, Mo. 63116. I’ll number the limited editions in the order I get the checks and mail it back. Say you’ll pick numbered copies up at my release/signing party, and you can make the check for $21.50. The party is from 2-5 p.m. Saturday, April 5 at the Tavern of Fine Arts, 313 Belt Avenue.